Learn more about who we are and the things that inspire us. Kyra Solutions specializes in the art and science of digital transformation in government. As a trusted partner with decades of award-winning service and delivery, we offer simple, innovative solutions to better connect government with its citizens and community partners. We understand the ever-increasing challenges facing government and leverage our industry expertise to create targeted cloud, mobile, and enterprise business process solutions that reduce risk, increase ROI, and improve the quality of citizen engagement. Together, let’s build an even better community. Founded in 1997, Kyra Solutions has emerged as a leader of digital transformation in government. Headquartered in the greater Tampa Bay area of Florida, our award-winning firm has successfully partnered to complete many solutions, on-time and within budget, as well as employed and managed thousands of IT professionals. At Kyra Solutions, our culture is employee-driven and client-centered. Our management team works diligently to provide the resources and support necessary for our personnel to deliver successful solutions to our clients. Kyra’s leadership team benefits tremendously from its Board of Advisors who have made substantial impacts in the businesses and communities in which they have served. Their advice and counsel are crucial in developing and executing Kyra’s long-term vision. Through deep domain knowledge and industry insight, Kyra’s subject matter experts provide our company valuable understanding into the challenging issues our clients face. Kyra’s commitment to our employees, and best practices in project management, business analysis, and solution development has led to our achievement in becoming the first Project Management Institute certified company in Florida. Our commitment to providing the highest level of service and tailored solutions has supported our consistent growth for over a decade. State and local government organizations utilize our services to develop information technology solutions to address their business needs. Kyra's proven successful track record has resulted in several prestigious awards including the State of Florida's Diversity Business of the Year Award and multiple years of recognition in the Inc. magazine's Fastest Growing Private Companies list. Despite a global economic slowdown, Kyra continues on a path of double-digit growth because we remain true to our founding principle: attract, reward and develop bright people who possess and seek to expand the right skills to deliver brilliant solutions to our clients. As a Florida-based company, Kyra Solutions employees know how important it is to invest in the communities where we live, work, and raise our families. Corporately, and as individuals, we are committed to giving back financially and with our time. We believe the key to a bright future begins with the opportunity to receive a good education. That’s why we have partnered with schools and STEM programs to enrich the student experience and spark interest in learning. 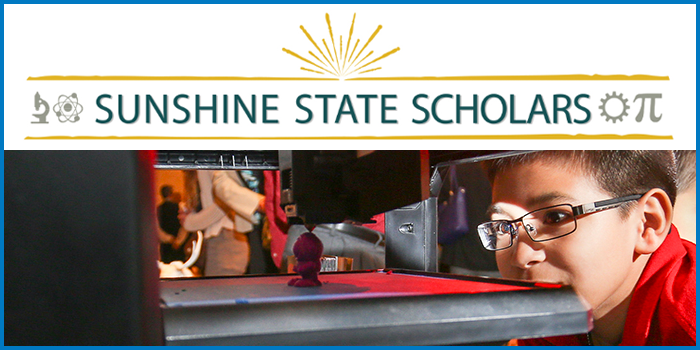 From “mathletes” to robotics clubs to statewide events, like the Sunshine State Scholars, Kyra Solutions proudly advocates and sponsors educational initiatives. As an organization that works side-by-side with our state, we see the dedication and effort that state employees put forth every day. 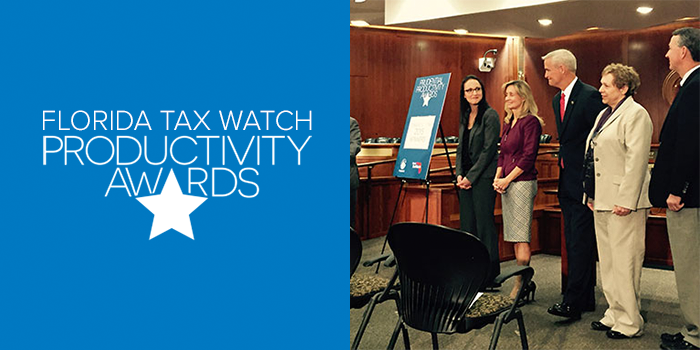 We are grateful that Florida TaxWatch has founded a program that recognizes the state employees who innovate processes and improve service delivery, ultimately leading to increased productivity and cost savings. As a sponsor of the Productivity Awards, we salute those who dedicate their life’s work to making our state sustainable, affordable, and remarkable. Innovation. Simplified. These are the words that guide our mission to better connect government with the citizens it serves. By living on the cutting-edge of technology, we are able to provide the most effective solutions to our clients to deliver on this promise. 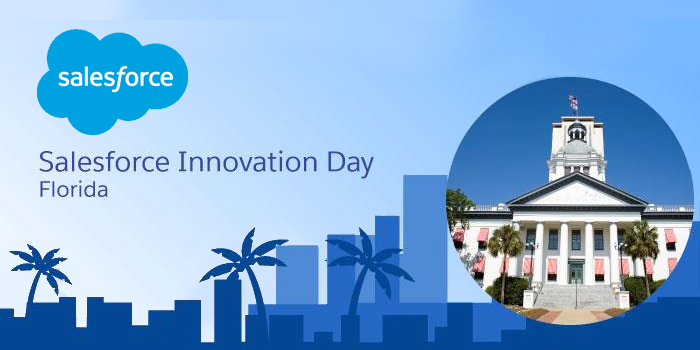 As a sponsor for the Salesforce Innovation Day and the State Government Blockchain Symposium, we make use of the technologies available that will digitally transform the way we understand government. Discover the value of Kyra’s team.